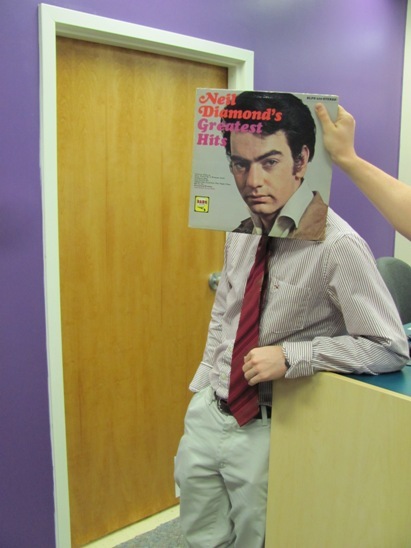 Refusing to sit at the Music Listening Center desk, Neil Diamond feels that The Lean is much better for his cool-guy image. But either way, he’s ready to assist you. In this photo: Neil Diamond, Chris Lortie and Michael Lee. Photo by Liz Tousey. This entry was posted in Pop and tagged Neil_Diamond. Bookmark the permalink.